Keilly Swift, illus. Cosei Kawa, London: Lantana Publishing, pb. 978 0 9932 2539 0, 2016, £8.99, 32pp. Picture books with an overt message about appreciating difference can sometimes be hard to enjoy, but this gentle, skilful tale certainly isn’t one of them. With a tiger dad and a lion mum, Tyler the ‘tigon’ is teased ruthlessly because he does not resemble the other big cats. He sets off to find a place where he does not stand out so painfully. At the ‘sore paw’ stage of his lonely journey, Tyler meets Lyla the ‘liger’ who has a lion dad and a tiger mum. Lyla too has experienced bullying because she looks different. With something so profound in common, the two quickly become firm friends. As the cubs start to play, they discover how their special features have advantages: Tyler’s smallness helps him hide, Lyla being tall can climb. Their confidence renewed, they confront their communities together. Once the big cats see what fun the friends’ games look, ‘something startling’ occurs: they ask to join in! The story ends on a warm, upbeat note: love the skin you’re in, there’s no one like you. 31 The bouncy, rhyming text ensures the story retains a light touch and the elements where the other big cats point out physical differences work well (for instance, the lions tell Lyla: ‘Your roar is too weak and your tail is too long’). Once the big cats see what fun the friends’ games look, ‘something startling’ occurs: they ask to join in! The illustrations are a triumph, subtly portraying the characters’ feelings, and the unusual soft focus of the artwork works beautifully in the register of the story. Scale is used to excellent effect throughout, powerfully expressing the sense of isolation many children feel when excluded because they are different in some way. Lantana Publishing aim to bring UK children’s publishing ‘one step closer towards achieving a more diverse and inclusive children’s book landscape for the next generation of young readers’. 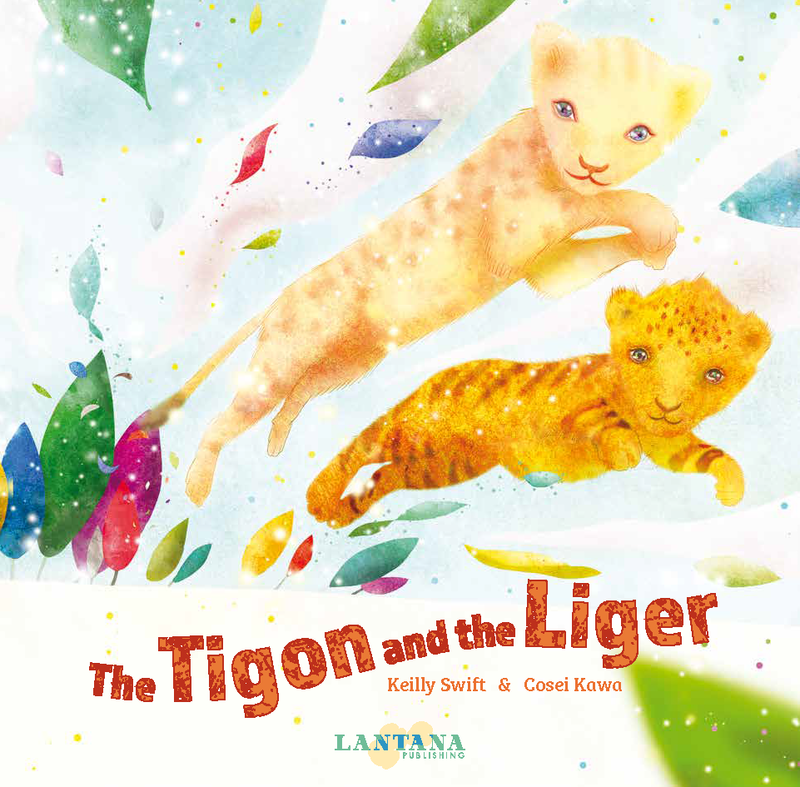 I’d say The Tigon and the Liger is more of a leap. See Latana Publishing for some inside pages of this book. Review by Kate Lee. Kate Lee is a Creative Writing PhD candidate at Southampton University. She is the author of several books including Santa’s Suit (Scholastic, 2004). Her other activities include working part-time in public relations for a children’s charity.